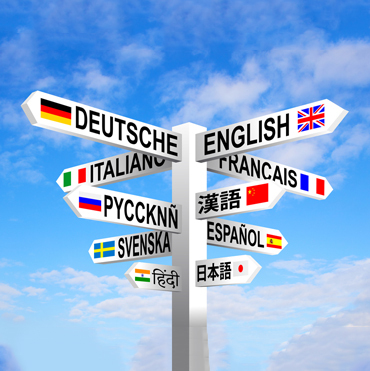 This article will help you understand what all factors affect the process of translation. You will get to know how complex is the translation process. There are many factors which influence the task of translation including judgment and selection of the translator. 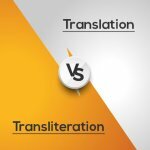 When you know about these facts and its existence you can easily make them your strength and help you understand the complicated nature of translation and also help you design strategies to overcome the influences that are negative. When the material is complex, technically or the work revolves around translation of marketing material, the complexity in the translation will arise. It will affect the completion speed. For instance, when translation of material which requires some special expertise or knowledge about it, then the work becomes complex. For example, when a document is all about a specific part of working of a machinery, this will require a specific background knowledge about that machinery, otherwise the translator will have to put in extra efforts as the speech is not something that is used every day. As the terminologies in translation document can be of technical and complex nature which will need a special attention of the translator on every word. Also, If the translator is an expert, you can expect good quality translation and well written material, however with complexity in task will come the speed of translation. Translator may take time and will ask questions which will in turn increase even more turnaround time. 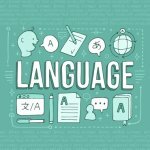 When it comes to cost, the cost of all languages is not the same. While some are cheap other are costly. Like for Japanese, the translation cost is high while for English is very cheap. Also, in cases where English is often used as an intermediate language for like the languages which are not commonly translated, adds an extra layer of translation in the project. This increases the costs. For example, can you find a person who can translate Japanese to Bhojpuri? You will definitely need a mediator who translates in English. Which means the translator will first translate Japanese to English and then English will be translated in to Bhojpuri. So, here more than one party is involved. When you set deadlines for the translation service, it will definitely increase the cost. Researchers have proved that with urgent requests, 88% the language service provider company marks up the charge ranging from 10-200%. The size of the project affects the language translation highly. It also increases the cost. The size of the project is measured by its word count and this method is adopted by most of the language service provider company. So, you can clearly understand the difference when we say translate a medical document in one language or translate a manual of manufacturing operations in five languages. The objective behind the word count is that with this technique, you can understand the work in advance. Now this doesn’t mean that the translation of the word “the” and translation of “insatiable” is the same. Of course, it is different. This method is used to just gain the approximate size of the overall project. As mentioned, some projects are complex. For example, if you look at the size of the project, it may seem easy, but the complexity is high. In such cases, it takes efforts more than translation. So, language service providers usually break the charges in separate items. The services which can be termed as complex are- quality assurance, project management, quality evaluation, software testing, voice-overs, project planning and much more. Where ever the involvement of humans comes emotions as humans are not machines. So, in translation, we get to see the professional values as well as the psychological condition of the translators. These factors can have a direct influence on the translation text. So, it is very important that the translator is provided with suitable working conditions which can directly influence the work of the translator. The two main factors humans have are personal attitudes and personal competence. They play a huge role in the whole translation process. The quality here means how much is the content error free. When the buyers say they are looking for high quality translation services, they actually mean high in accuracy. To make sure that the content is error free, translators become editors and make all the necessary changes by proofreading it. also, some firms give the job of proofreading to the third-party audience which include customer reviewers or senior-level editors. With different linguistic professionals come different cultural and family background. Being the foundation, the background of the translator influences how he works a lot. So, how they experience, segment and structure reality can be different. The solemn objective of translation is to build the bridge between two communities and ensure communication is smooth. No matter how experienced translator has worked, you cannot bring two culturally different languages together which represent the same social reality. With every language comes a culture which cannot be translated. So, we can say that two languages have two different worlds and reality and is unavoidably included in two cultures. The language translation services are cheap and good in long term. Not everything is all about costs. Research shows that translation services provide good return in investment (ROI). So, at the end of the day what matters is fastest turnaround time and high quality content.